The Orlando Watersports Complex hosted “SUP with a Cop Day” last Saturday to benefit Urban Surf 4 Kids, an outreach organization that works with orphan and foster children. About 50 children, volunteers and local law enforcement came together to bridge community relationships through stand-up paddleboarding at the cable wakeboard park. 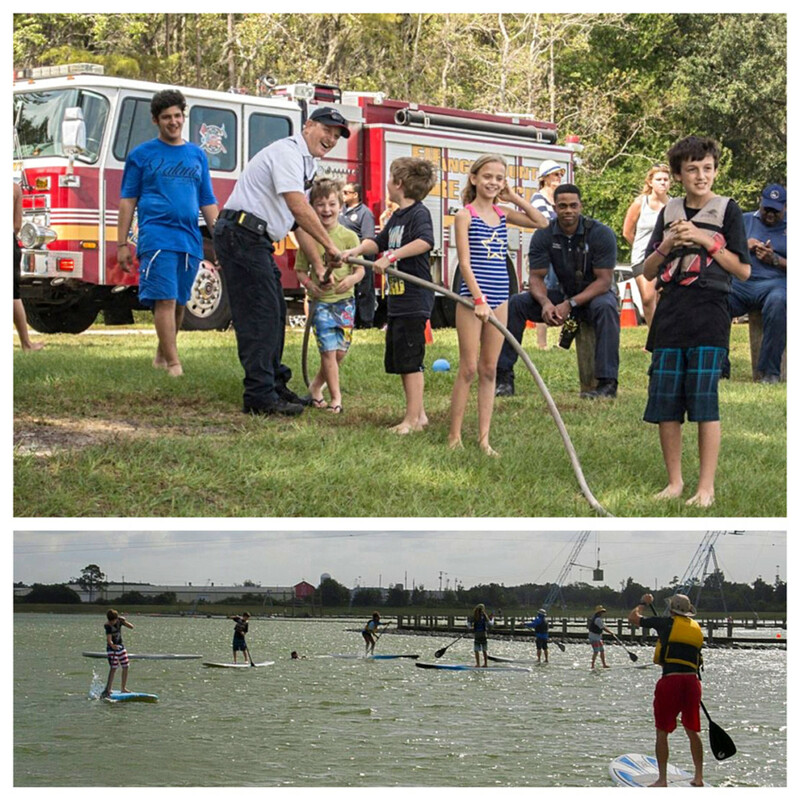 The event offered free SUP lessons for kids, a SUP Expo and a meet-and-greet with the Orange County Fire Authority, which brought a fire engine (with lights flashing and sirens blaring) for the children to see.